Do you like the elderly? We do. If you don't, you are made of stone. But we can't hide from the facts. Elderly drivers who do not belong on the road are causing motor vehicle crashes at an unacceptable rate. The problem will only get worse. We will have 100 million drivers over the age of 65 in 15 years. We already have more than 5,000 drivers over the age of 65 killed in motor vehicle accidents annually on our roads. This is 1 in 6 fatal crashes. Elderly drivers, drivers 65 years of age or older, statistically have the second highest accident rates, ranked just behind teen drivers. Age-related research has shown that senior drivers face an increased risk of being involved in a multi-vehicle crash, particularly at intersections. 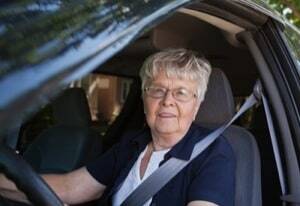 These mistakes are usually negatively correlated with the general health of the elderly driver who might have conditions such as dementia, arthritis, or a loss of hearing. Also, many medications, whether prescribed or over the counter, impair driving abilities. 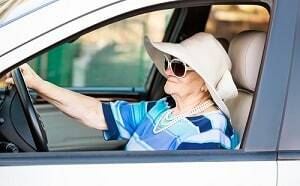 The other problem the elderly sometimes have that causes havoc on our roads is that they have impaired vision. They are also not as likely to see things that are not at eye level and in the line of sight. So cluttered arrangements or other things in the background will make it more difficult for them to pick out objects. The designs of newer vehicles do not make it easier for these drivers as well. For example, some are designed with smaller windows that limit outward visibility while others are now designed with more complicated control systems that can be difficult to understand, especially while operating the vehicle. But you can't blame the car manufacturers. Ultimately, you are either still fit to operate a motor vehicle or you are not. It is the legal responsibility of any driver to drive safely. If their mental and/or physical competence is impairing their ability to adhere to this, it is their obligation to find other modes of transportation. But, keep in mind, it is difficult enough to adjust to the concept of aging, and giving up the privilege to drive can be emotionally difficult. Family members can help find alternative methods for their older loved ones to get around. This could be as easy as simply looking up local public transportation and helping to create a daily schedule that won’t prevent their loved ones from doing what they need to do around town. Why is It So Hard to Get These Unsafe Drivers off the Road? You already know why it is hard to get these unfit elderly drivers off the road. It means conceding that a big part of your life and mobility is over. That is a tough pill to swallow. Everyone gets that. But our failure as a society to force our elderly who are not fit to drive off the road is an unswallowed pill that is just causing too many people - both young and old - to die. Sure, 28 states have special guidelines for older drivers when it comes to renewing their licenses. Some require more frequent renewals, vision or road tests, or adult driving classes. For example, the Transportation Committee of Massachusetts is attempting to pass a bill that would require drivers over the age of 85 to pass a driving test in order to renew their license. But to really do what we need to do - real testing to figure out fitness beyond just some eye tests and a little parallel parking, is not going to do the trick. There is even a lot of blowback against the feeble laws we have already. Mandatory and potentially mandatory requirements for license renewals have been protested on multiple occasions by senior lobbying groups who argue the tests are ageist, and that if seniors are forced to mandatory road tests, other age groups should be as well. Well, yes, it is ageism. But it is a discrimination that would save thousands of human lives. That should mean more than it does. A woman who lost her 3-year-old son after he was struck by an elderly driver in 1995 founded Independent Transportation Network (ITN) America; a program that provides door-to-door driving services to seniors. CarFit, a program sponsored by AARP holds events throughout the country to help elderly drivers assess such things as seat positions, mirror settings, and controls to help adjust to more appropriate safe-driving preparation. The Federal Highway Administration has also made the move to improve conditions for elderly drivers by making signs more reflective and increasing the distance between signs and exits to help give drivers more time to react. Have you or someone you love been injured or killed in a motor vehicle crash with an elderly driver that was not safely operating his vehicle? If so, please contact us at 1.800.553.8082 or online, here for a free consultation.